Welcome to the Brookstone Wild West Extravaganza! 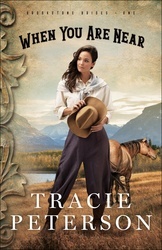 In 1900s Montana, Lizzy Brookstone, a trick rider in the all-female Brookstone Wild West Extravaganza, wants nothing more than to quit her role as the star of the show and live a quiet life on her family's ranch. But returning home would bring her back to the man who broke her heart. Plus, the Brookstones' manager fears that Lizzy's departure could doom the show. Hope grows in Lizzy during a stopover at Fleming Farm. Ella Fleming has a natural talent for trick riding and could easily replace Lizzy. However, while there, one of the show's wranglers is mysteriously killed. And during her escape from the farm, Ella stumbles across a secret that could affect all of their lives, as well as the future of the Brookstone Extravaganza.